Brussels is the capital of Belgium, the French Community of Belgium, the Flemish Community and the main seat of the European Union's institutions. Brussels is, first of all, a city located in the centre of Belgium and is its capital, but it sometimes also refers to the largest municipality of the Brussels-Capital Region. 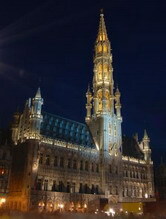 Grand-Place (Dutch: Grote Markt), possibly one of the most beautiful squares in Europe and the jewel in Brussels' crown. The Grand-Place is Brussels' top tourist attraction justified by the Gothic magnificence of the Hôtel de Ville (Town Hall) and the Baroque exuberance of the late seventeenth-century guildhouses surrounding the square. Royal Museum of Fine Arts (Musées Royaux des Beaux Arts) a great museum, combining four interconnected sections of old masters and modern art collections. Together they make up Belgium's most complete collection of fine art with works by, amongst many, Pieter Bruegel, Rubens, Delvaux and Magritte. 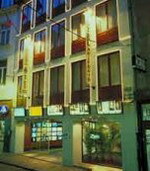 Arlequin Hotel Brussels is ideally located in the very heart of Brussels and is only a few steps from the Grand Place. The hotel offers you a warm and personalised welcome and will also help you in discovering the charms of the capital of Europe. This hotel offers 92 guest rooms that are pleasant and nicely equipped to give a feeling of being home. Guests can start off the day with a delicious breakfast while taking in the beautiful views of the Grand Place from the breakfast room. The hotel also has several meeting rooms that are perfectly designed for your seminars, training courses, art exhibitions and banquets. 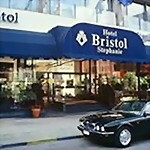 Bristol Stephanie Hotel Brussels is situated on the Avenue Louise, Brussels' most fashionable shopping and business district. Its impressive location is ideally suited for both business and leisure travellers. The hotel offers 142 spacious bedrooms that are well furnished and come with a host of modern amenities. Guests can enjoy refined French cuisine at the onsite Le Chalet d'Odin Restaurant, they are also welcome to Stephany's Bar to have a fine and refreshing drink of their choice. The fitness centre is open for all hotel guests and has the best of equipments. A sauna and a sun-bed are also at your disposal. Located in a quiet street of a business area, at the edge of the historical centre of town and, the Citadines Sainte-Catherine Apart Hotel offers 169 apartments over 6 floors. The hotel's ideal location allows you to discover the historical and cultural charm of Europe's capital. It just a few minutes walk from La Grand Place, famous for its Flemish baroque architecture and its flower market. Around La Grand Place, you will find the Theatre Royal de la Monnaie, the Stock Exchange and the famous statue Manneken Pis, as well as the Parc de Bruxelles, the Royal Palace, and the Museum of Modern Art. Many restaurants serving local cuisine are within easy reach of the Apart'hotel.